Over 35 Years Later, Is It Still A Hard-Knock Life For Little Orphan Annie? 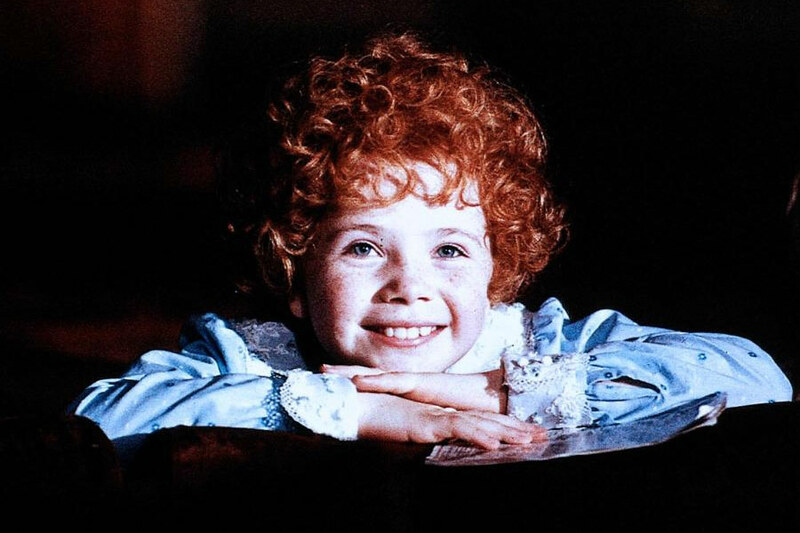 Growing up, the movie Annie was one of my all-time favorites. 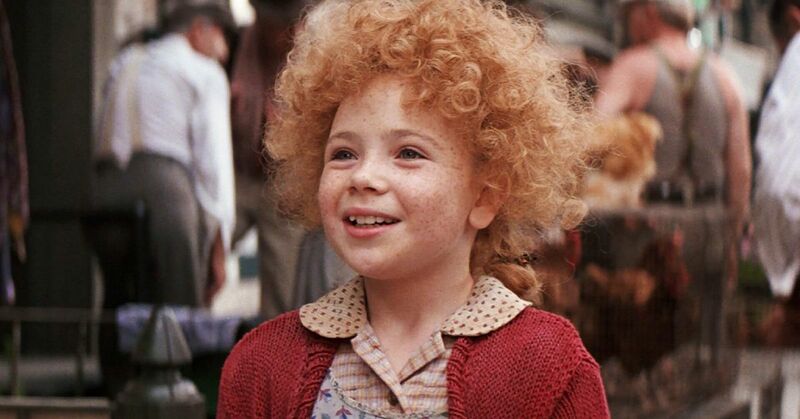 As a little girl with red curly hair, I was just so excited to see someone who looked like me in a movie! Not only that, but the story and music were enough to warm hearts all over the world. The original movie came out in 1982, based off the comic strip in 1924 and the Broadway musical in 1977. 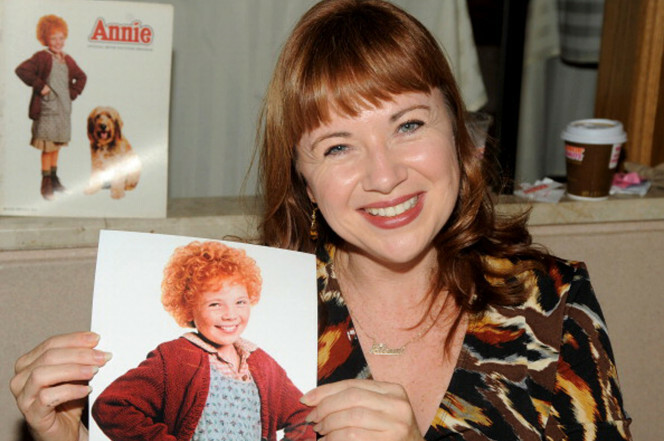 Aileen Quinn, who played little orphan Annie, instantly became a household favorite with her bright personality and even brighter hair. She was only 11 when the movie came out, but her performance was one of the ages. Who HASN'T started singing "Tomorrow" every now and then? 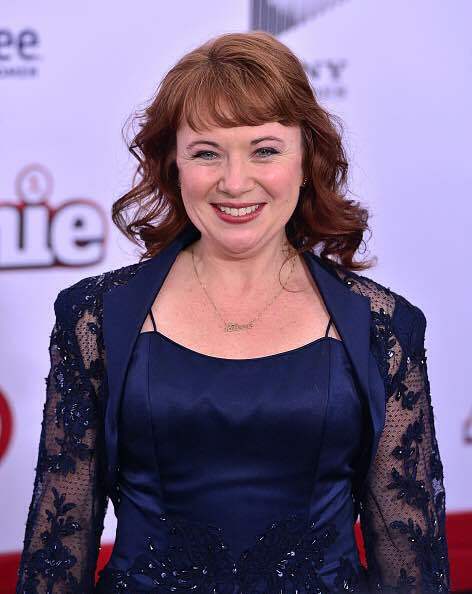 Now, over 35 years later, Aileen Quinn looks completely different, but she's still rocking her signature red locks! Quinn, now 46, is still performing...just not in movies! She currently is the lead singer of a Rockabilly band, Leapin' Lizards, and has been a teacher of drama, dance, and Spanish. Right after graduating Drew University, Quinn toured the United States with roles in Fiddler on the Roof and Peter Pan. She also performed some Shakespeare at the London Academy of Music and Dramatic Art. Did you know it was a year long audition process for her role in Annie? Quinn beat out 8,000 other girls for the role. Talk about earning your part! You may have noticed that after Annie, Quinn wasn't in any other major films. Apparently, she was under contract to make more movies in the franchise, but it never panned out. "I had been under contract for so long to make other 'Annie' movies that never happened. So by the time I was 16 or 17, and my contract was officially up and I could do other things, then it was kind of past the point. It was kind of like, 'Who are you again?' So I decided to get a really good education, especially with my mom being teacher. I'm really glad I did," says Quinn. It's always great to see child stars who have grown up with a good head on their shoulders!